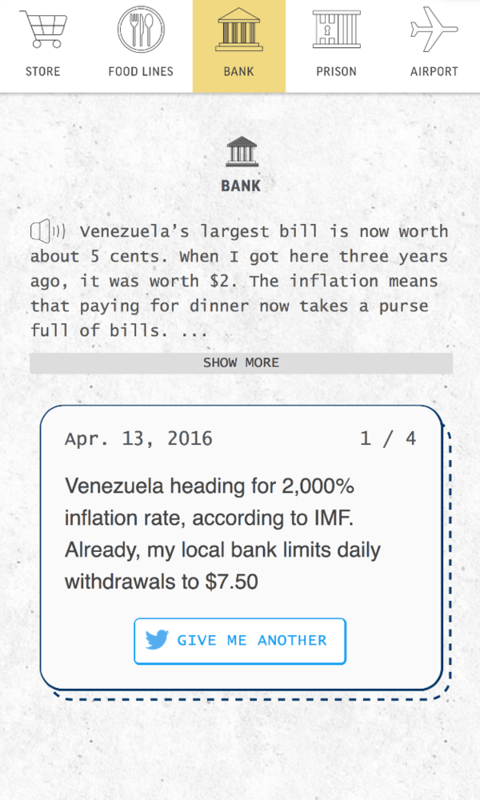 How could an interactive project tell the important story of the falling state of Venezuela in 2016? 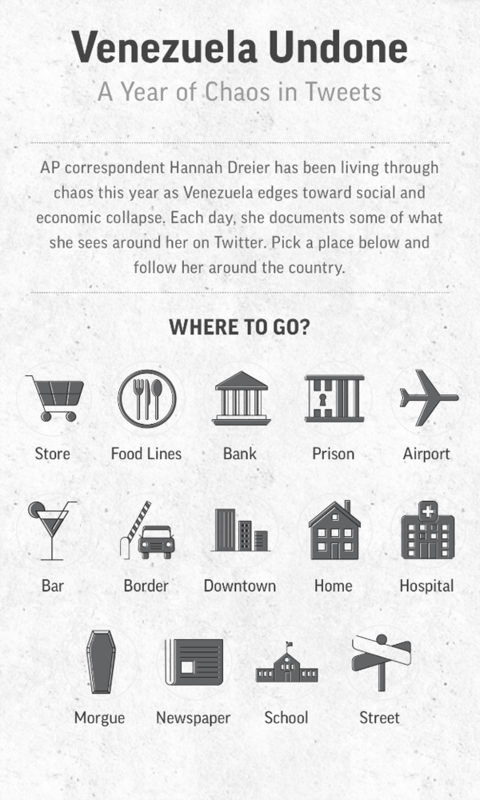 After reading published stories by The AP and other newsrooms, researching scholar articles on the subject and talking to AP correspondent Hannah Dreier in Caracus, we came to the conclusion that the most unique and comprehensive Venezuela story should be told in Hannah’s tweets. Hannah has been writing stories on Venezuela since early 2015. While she could publish one story every several days, she didn’t have the time to turn everything she saw into stories. She then documented them on Twitter. Hannah tweeted about children waiting in food lines, people selling horse meat on the market, bank announcing inflation rate hikes one after another, middle class flooding to Colombia to buy groceries. 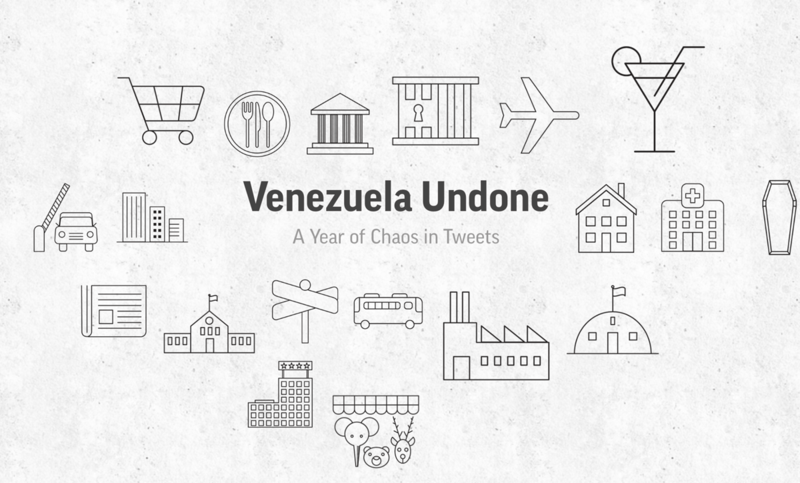 The interactive is an attempt to turn her tweets into a visual experience, where the audience can pick an institution and explore how daily life is like in Venezuela.